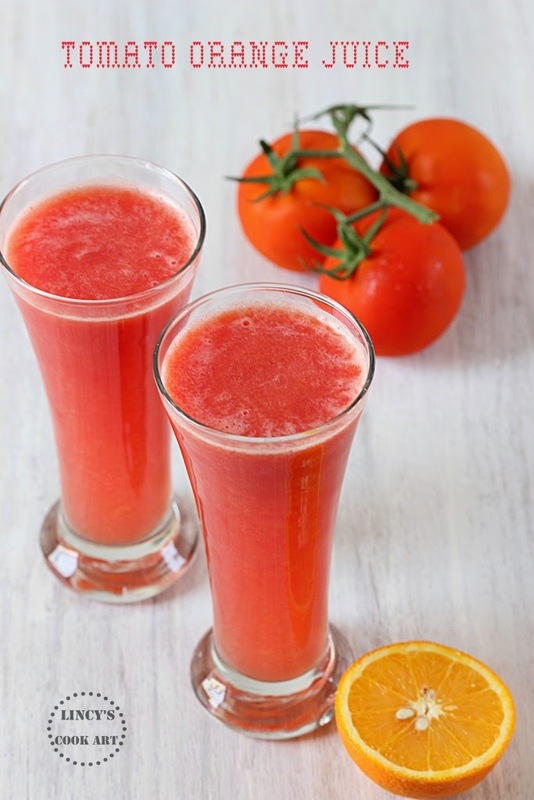 Tomato Orange Juice: I love to try different juicy drinks. Initially after marriage when I used to prepare drinks I had no idea as to how to make it. Nowadays I have a better understanding on how to go about concocting fruit juices, lassi, smoothie and milk shakes. Earlier I wouldn't add chilled water or ice cubes which makes my drink taste wacky. Now i prepare the drinks with prior calculation, whether it would work out or not. 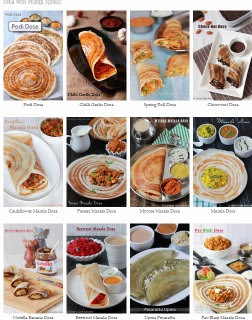 Some combinations really surprised me with regards to the taste as well as the colour. This is one such calculated combination the one I loved it. The colour as well the taste is amazing. Really simple and tasty juice with in 5 minutes. Roughly chop the tomatoes and add that in a blender jar and blend well to make a puree. Now add half a cup of chilled water with that puree and blend once or twice as this makes the filtering process easy . Pass the tomato juice through a sieve and collect the clear juice from the seeds and peel. Using a normal juice extractor or just by squeezing extract the orange juice with out any seeds. Now add the orange juice with tomato juice and add in the sugar and salt. Mix well with spoon until the sugar gets dissolved. Add extra 1/4 cup chilled water if you feel the consistency of the juice is thick. Add some ice cubes if you wish and serve chilled. Note: Avoid using naatu thakkli which is much sour, use varieties like Bangalore tomato.